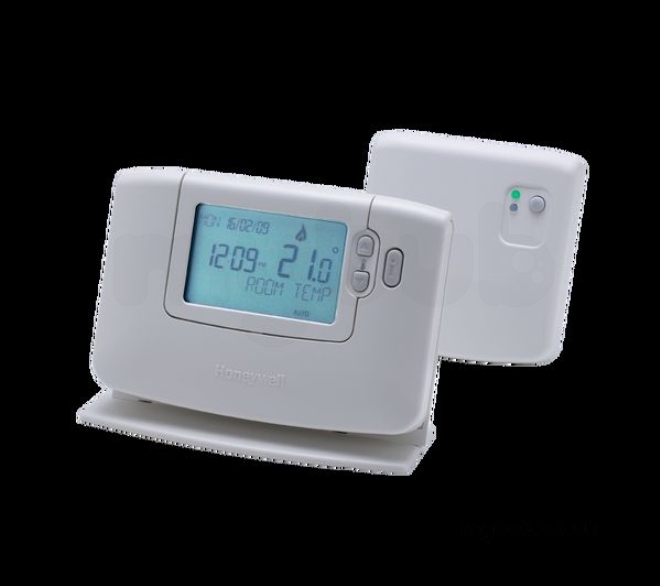 HONEYWELL CM921 PROG R/STAT 24HR RF The CM920 series of Wireless Programmable Thermostats is designed to provide wireless time and temperature control to heating or cooling systems in domestic and light commercial buildings. The slim, ultra modern design complements the large LCD screen with the Line of Text (LoT()) display and one function button to ensure simplified programming and operation for all users. 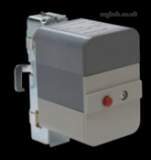 The CM920 series can be used to control the heating circuit in a Sundial S or Y Plan and is particularly well suited to control combination boiler installations or additional zones in a S Plan Plus system. The CM921 is for use where heating needs are the same from day to day. The CM927 can provide a different heating programme for each day of the week to maximise energy efficiency. Two wire, volt free connections are ideal for use with combination boilers. They where unable to immediately supply my product, but I was informed of the delay and kept up todate. No problems, I would use them again. Well done!....Superb service following a change of parts Great follow up by all Sales personnel who kept me informed throughout Would definitely use them again! Many thanks for the prompt execution of my order and will certainly recomend and use your services in future. Regards DJ. The sink I ordered was damaged when delivered but a quick phone to Laurie had a replacement winging it's way to us within a few days. No fuss, no problem. The delivery driver with the replacement waited until we'd unpacked the new sink and checked it before leaving. Great service. Why choose MyTub Limited for honeywell cm921 prog r/stat 24hr rf CMT921A1042?